Right-click on PCB Layout option, select Board Analyzer. A new menu 'Tools' is added. Select Tools menu from Board Analyzer & Signal Integrity Simulation window. The options for Electrical ,Board, Field, Display Parameters, Signal Integrity/Field Analyzers are added to it. 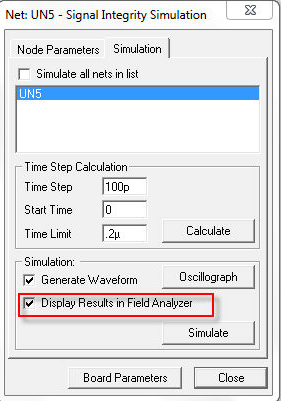 Select Signal Integrity/Field Analyzers from Tools menu. 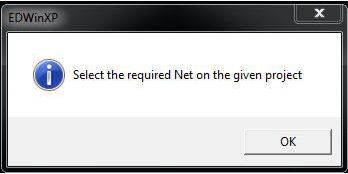 Select option to view the 'Actual size' of the board.